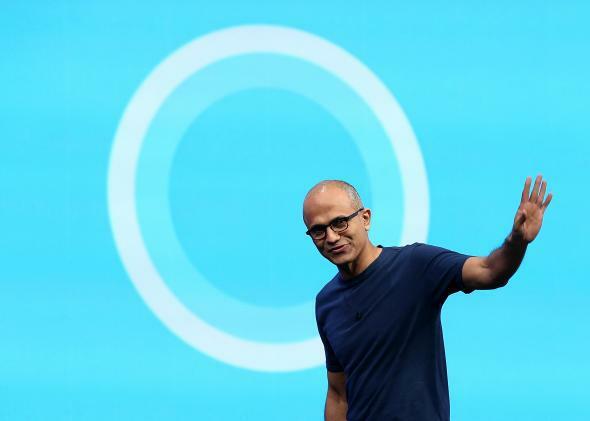 Microsoft CEO Satya Nadella says women shouldn't ask for raises at women in tech event. Satya Nadella at the Microsoft Build conference in April. At the Grace Hopper Celebration of Women in Computing on Thursday, Microsoft CEO Satya Nadella said something very weird. He told an audience that was assembled to celebrate women’s achievements in tech (an industry that has diversity problems in nearly every metric) that women shouldn’t ask for raises. And he said that women who stay silent have an advantage. “That might be one of the initial ’super powers,’ that quite frankly, women [who] don’t ask for a raise have. … It’s good karma. It will come back.” What would Grace Hopper think? But public figures are human, right? Maybe Nadella just sort of lost context for a minute. Oh, and he apologized! See, everything is gonna be fine. So at least he knows he screwed up. And, yes, one important goal is for women to be paid the same as men so they don’t have to ask for raises just to bridge that gap. But even in that utopia, it will still be in everyone’s interests, both men and women, to advocate for themselves and request increased compensation at various strategic points in their careers. Achieving wage equality between men and women is important, but so is creating a new normal where women are rewarded—or at least not penalized—for being assertive the way men currently are.